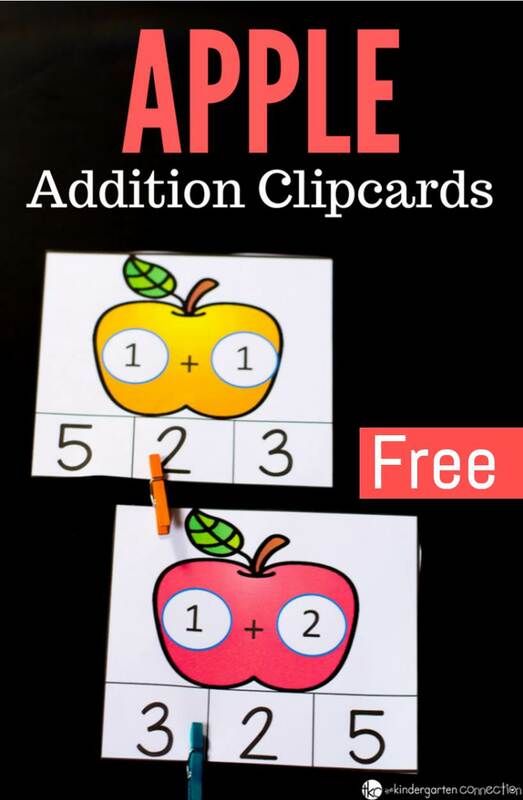 These apple addition math clip cards were perfect for introducing the concept of addition to my son. They were colorful, hands-on and the best part- it was not a worksheet! Now that my son seems to be confident with counting up to 20, I figured I would play with the idea of adding items up to 5. 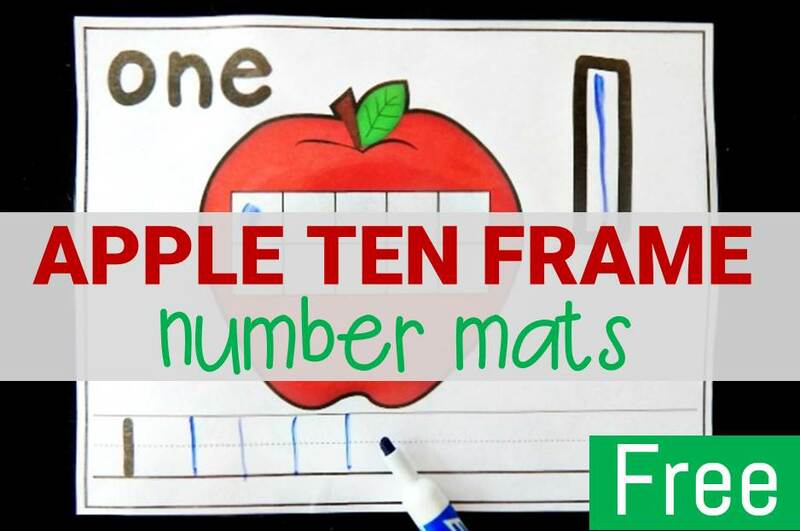 When I taught my daughter how to add, we used addition combinations for each number. Since this seemed to work, I figured I would do the same with my son up to 5. The only difference is that he does not need to memorize these facts, he just needs the exposure. To get ready, I first printed out the cards (below) on cardstock and laminated them for repeated use. After I cut them apart I placed them in a basket and grabbed some colored counters both for identifying the answer and for counting. We have been using colored counters as my son finds clothespins a bit hard to open and close. 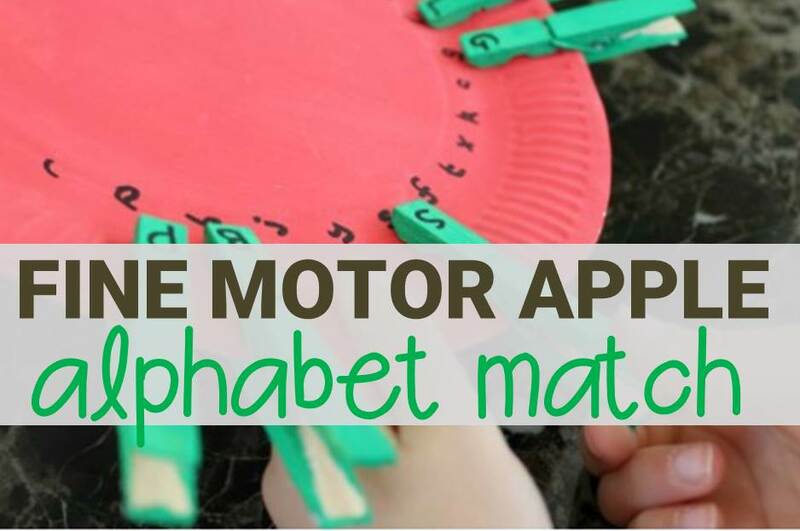 He still works on his fine motor skills as he has to pick up the thin counters, and will work up to being able to pinch and open the clothespins eventually. First, I chose an apple clip card and showed it to Caleb. I then read it: 1 plus 1 is equal to? One we identified that the answer was indeed 2, we placed a counter on the number 2 on the clip card. We continued with this activity until all the combinations up to 5 were done. As this was only an intro to addition, we shall be working on this for a bit. Ready to work on counting? 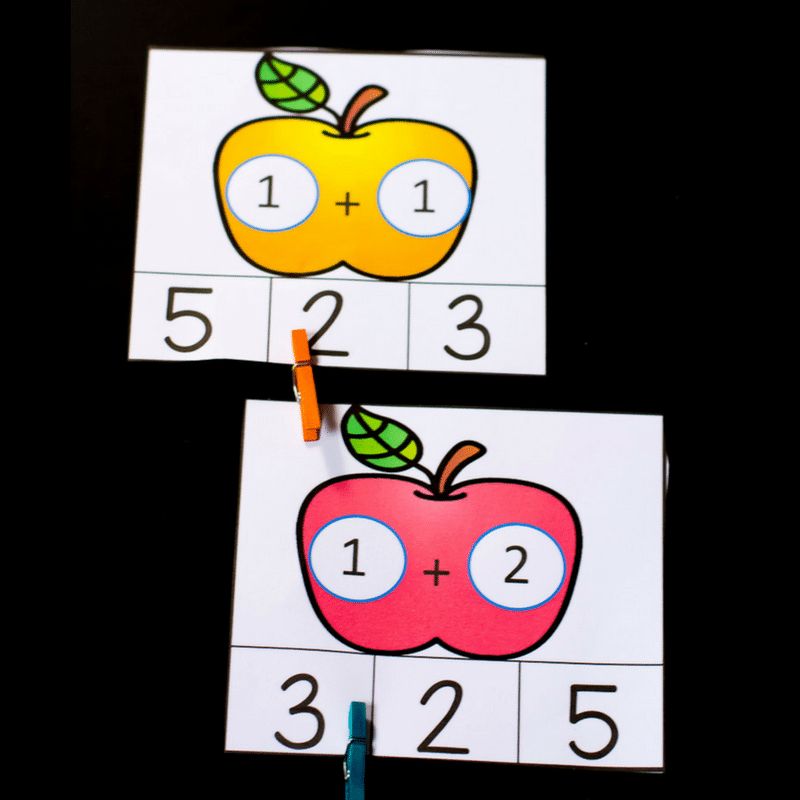 Grab your copy of the apple addition printables by clicking the yellow button below. 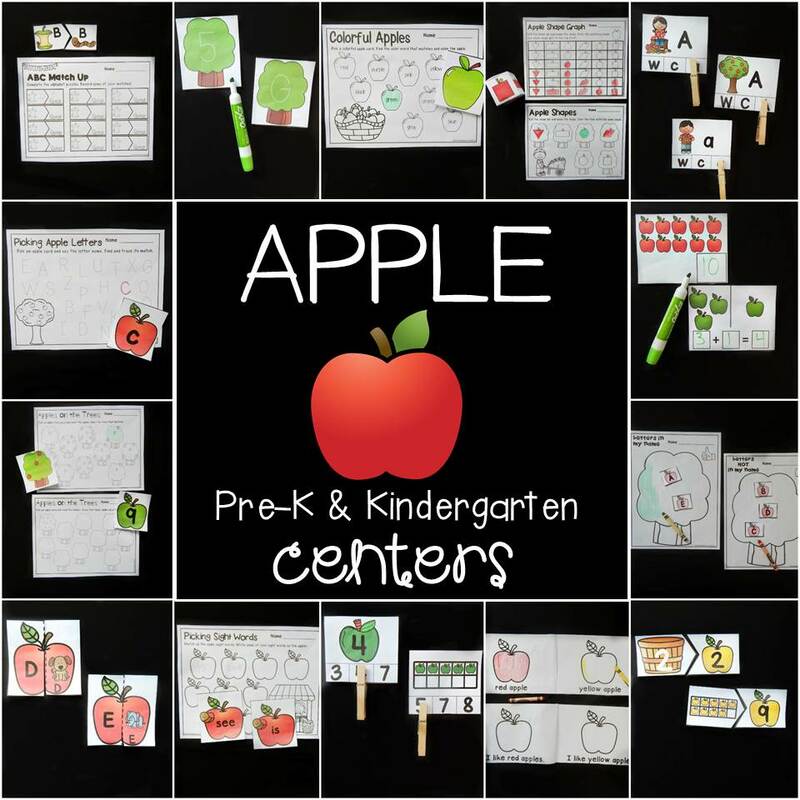 Then, for TONS of apple-themed fun, head over and grab our apple math and literacy centers!